Super Smash Bros. Ultimate amiibo collectors will be pleased to hear the next wave is seemingly on the horizon, with an anonymous user sharing a photo of a Japanese booklet showcasing unannounced amiibo on a Discord Channel. amiibo Alerts uploaded the photo on its Twitter account. As can be seen below, the page shows pictures of the Pokémon Trainer and Snake amiibo. There are also placeholder spots for Simon, Richter and Dark Samus and Chrom. It appears Ivysaur and Squirtle will receive the amiibo treatment as well. Once again, the source of this photo is unknown, but according to My Nintendo News the page is reportedly from The Super Smash Bros. 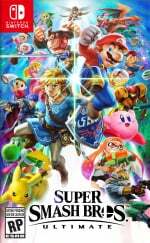 Ultimate guide which has just been released in Japan. We’re guessing an official announcement regarding the release of the next batch of amiibo shouldn’t be too far off. Are you still collecting amiibo? Are you looking forward to any of these ones? Tell us in the comments. Those two look so good! Can’t wait! Additionally, it’s going to be interesting having four amiibo presumably all function as Pokémon Trainer; seeing as how Charizard functions as Pokémon Trainer, I imagine Squirtle, Ivysaur, and the Trainer himself will all do the same. OMG! I want that Snake Amiibo! And I’m soo glad they’re making a Squirtle & Ivysaur Amiibo! I want them as well! @CharlieSmile they don't seem interested in making amiibo for all the alternate models. Probably because there's so many. That does look like a Japanese guidebook. And if anyone's wondering who the 7th square is, it says Incineroar. @Delibheel they're missing out on so much money. Wii Fit Trainer guy would be neato too. @CharlieSmile I'd certainly buy myself an Iggy. @Delibheel @CharlieSmile I don’t even know anything about Pikmin, but an Alph amiibo would be sick, especially with his new pose. All the Koopalings have dynamic new poses too that beg for amiibo. Alt versions of the Smash amiibo would be swell, however Nintendo would need to keep them in stock long enough for everyone to get them without paying scalpers. Only issue i'd have = RUNNING OUT OF SPACE, tho I wonder if a riser with an extra row would make things easier. @CharlieSmile There's already a Female Corrin Amiibo. @MasterJay Don’t forget Meta Ridley! @CharlieSmile I own a Corrin Player 2 which is the female one, awesome amiibo if I say so myself. Pokémon trainer: About damn time! Yes, I've gotta get me an Ivysaur amiibo! It's not Bulbasaur, but it's as close as I'm ever likely to get to it. I almost have the complete amiibo collection looking forward to Dark Samus, Simon, Joker, King K. Rool., Chrom, who am I kidding I'm looking forward to them all. @TsukiDeity when was it released?! The article talks about 6 characters, but there are 7 free spots, what's the last one? I'm glad they are making separate Squirtle and Ivysaur amiibo as well. I might get the Ivysaur one. Too bad there won't be one for Leaf, I much prefer her over Red - he looks kind of goofy IMO. All I want is a Joker amiibo and I'll be more than content. I was wondering if Pokemon Trainer would get a new amiibo. Now give me the female trainer and Richter please. I was afraid that, due to issues with Konami, Snake wouldn't have an amiibo. Glad to see my fears dispelled. At this point consider the screenshot those other Amiibos are the matching the upcoming Amiibo and the Cloud Amiibos considering their released already and being re-released are on the same booklet that would to me indicate More Amiibos are on the way. @MasterJay "That would be really cool considering how amazing the statue just turned out, I'd love to have a cheaper version people could actually afford"
At 12.99 or 15.99USD is not cheap enough? What world are you living in. They could be asking 2x those prices and to make light of how inexpensive they are right now is a cheap shot. @MasterJay This thread is about the Amiibo that is what I am talking about. @Bensei For Pikachu Libre, which is female as opposed to the other Pikachu skins. Surprising also has her own Fighter Spirit too. @shoeses If there's a fighter spirit for it, it should get an amiibo. 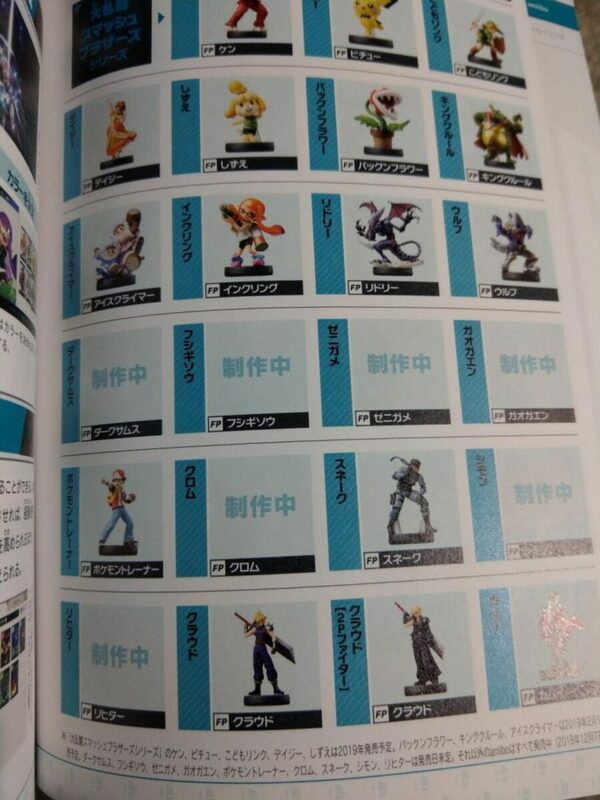 Also new Link, Ganondorf, Zelda, Miis???? As always, I never intended to purchase all of the Smash, or other series of Amiibo. I couldn't afford to do that. I only get the ones like. Right now, the only one I really wanna get is the Smash Daisy. Maybe a few others, but it's not earth shattering if I don't get them. If only Leaf could get an Amiibo. It's a shame that she can't get one because she's an alternate costume. We exist in a world where Doctor Mario who is the same exact person as Mario gets an Amiibo but not Leaf, even though she is a different person, all because Doctor Mario is considered a separate character, but Leaf is not. I'm yet to actually buy an Amiibo, though, so I can't really make a huge deal about this. I'm not a big fan of them. @CharlieSmile agreed would love to have those as well and p2 corrin is silly rare too. I want a snake amiibo just to name him "TaStY"
@shoeses Ah. Well, I think it's still stretching it a bit as it is only one variation and not the whole line of four gender variations. Otherwise, you could also argue it is worth adding Wireframe Little Mac, Builder Mario, Meta Ridley, Speedo Shulk, Bikini Samus, Galacta Knight, etc., etc. But since amiibo are compatible with more than one game, there's still the option that a Pikachu Libre could reease in the future and be backwards compatible. @Bensei I mean, they thought Pikachu Libre & Meta Ridley were different enough to give them their own Fighter Spirits, along with the Koopa Kids (and Inkling Boy, I think), so I wouldn't think it entirely impossible.